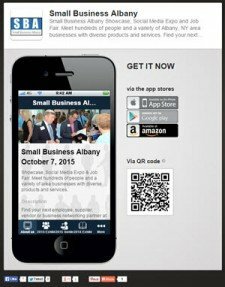 What can set a small business apart from the others? Strong leadership, and in particular, leaders that acknowledge that we all have a lot to learn. When we honestly commit to staff development and training we are able to attract and keep higher-performing employees. Training opportunities are abundant and can be implemented through a variety of channels. The most important thing is that you take the first step and try something new. Then track the results, and adjust from there. Today’s customer experience is directly tied to the quality of interactions with staff, and you can turn customers into advocates by training staff on communication, organization and efficiency. If we want more out of our staff we have to start by engaging them, and a great way to do that is to offer constructive feedback that creates positive change. When you celebrate the successes of your employees you motivate them to give more to their jobs and when they really care about their work they will be more receptive to making improvements. One area where many organizations seeing real value is in diversity training. There is so much potential in a team that respects each other’s differences and communicates effectively among a variety of backgrounds. As a manager, you have to be aware of differences in areas of culture, race, age, gender, and sexual orientation. But all of the emphasis can’t be put on training managers, because it sends the message that the organization is trying to mitigate risk, instead of trying to create a healthy workplace. Studies have shown that people shut down when diversity training is made mandatory. Instead, offering people the opportunity to get involved in discussions, mentorship, and hiring has shown to help engage them in effective diversity initiatives that support underrepresented employees. You may be wondering what your organization can do today, this week, this month, and this year to have a direct impact on your staff performance. There are a lot of options out there and it’s important to remember that your staff will have very different strengths and weaknesses, and there will be a variety of learning styles among them. You should be able to find a training program that takes your organization’s specific challenges into consideration and creates a customized training. As a start, you can ask your employees to identify areas they would like to develop, which will set the tone for honest communication, this is free way to start the conversation if you’ve never offered professional development at your organization. Many trainers and programs will do a needs assessment to evaluate your areas for improvement and create a targeted plan for addressing them. Whatever your specific goals may be, and whichever training options you pursue, it’s important to create a positive atmosphere and present the training as an opportunity for everyone involved, not a punishment or a chore. This is a chance for all employees to get ahead, to refine their skills, to make them more valuable and more effective at their jobs. Unleash the potential of your biggest resource, your staff! Scott Corbett & Julie Ross are the owners of Corbett & Ross Organizational Solutions. 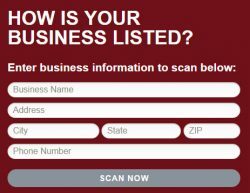 They provide innovative and effective training solutions for a variety of challenges that small business owners face. 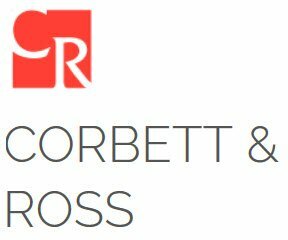 To explore their invaluable blog and to learn more about Corbett & Ross, visit CorbettandRoss.com.